RAYS aims to provide users of its wheels with the greatest sense of security and the highest level of satisfaction possible. 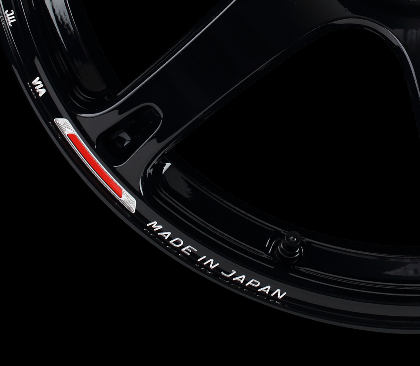 In order to have absolute confidence in the wheels it provides, RAYS has continued to produce them only in Japan. It aims to analyze driver needs, maintain RAYS quality in all its products, and deliver reliable wheels to the market. The key to achieving these goals has been for RAYS to establish an integrated in-house production system* (all RAYS) and produce all of its products in Japan. RAYS has clients that fall into all different types of categories, from those who purchase its commercially available wheels to teams of drivers who compete in car races such as the Formula 1 and GT World Championships. The type of performance required varies according to the various fields, but RAYS aims for an even higher level of performance by applying its technologies and know-how across all of its product lineups. An integrated in-house production system is indispensable in realizing the principle of "Quality First." Rays believes that it is essential for all of its personnel to work with one accord so that they form "Team Made in Japan." RAYS places greater value in the term "Made in Japan" than the term itself suggests. * RAYS' integrated in-house production system covers all processes for all categories of wheels, from planning all the way through to development, production, and inspection. Racing wheels that are used to compete under harsh conditions, forged wheels that push performance to the limit, and cast wheels that shine brilliantly on the street?all of these make use of the latest RAYS technology and the company takes great pride in having manufactured them. Made in Japan, All made by RAYS is quality supremacy.